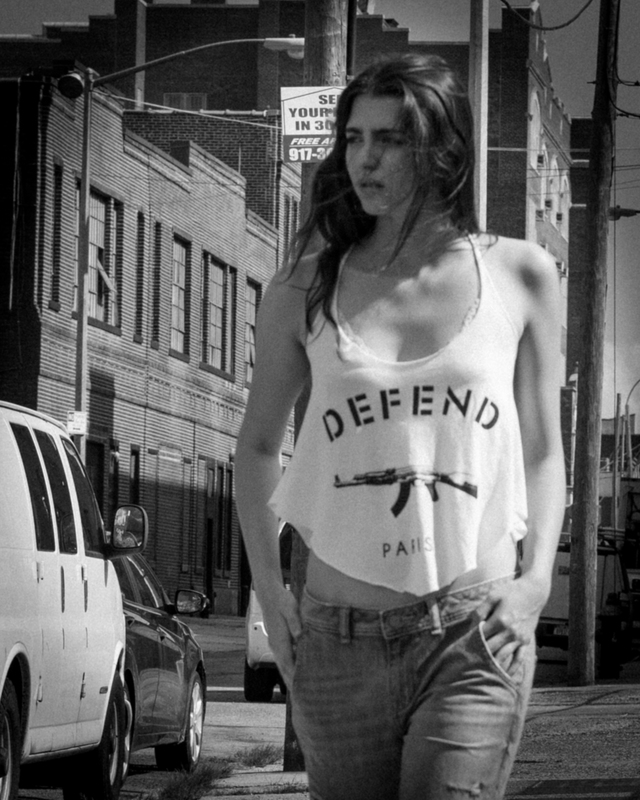 Defend Paris comes from the streets of Paris from designer Jeremy Douay (formerly Eleven Paris and Hype Means Nothing). Jeremy launched Defend Paris with some childhood friends in Paris. They worked closely with Madonna at the launch and she really embraced the brand. It’s really inspired by the things we feel as youth in the streets of Paris. There is rage and anger about so much, but there is also passion and joy. The motto is that Defend Paris should give voice to the ideals of our youth. Jeremy Douay: Defend Paris inspires different things in different people. We are very passionate about the brand, and maybe that is the underlying emotion that drives everything about DP–Passion. Our audience is anyone that shares our passion, anger and joy, the people who live in the streets with us and struggle with the same indignities of our life. A: What’s next for Defend? Jeremy: We continue to spread our wings in the streets. As our sales increase, we expand our design scope, keeping our aesthetic very clean and simple, while always using the very best materials and craftmanship for our products. We are also working on some great events for the brand which really tie into our DNA, so keep a look out! We also invest a lot of our energy working on visual content that we think expresses the emotion and essence of Defend Paris. The passion that radiates through Defend Paris is what sparks my obsession with the line. Each piece means so much and tells such a story. 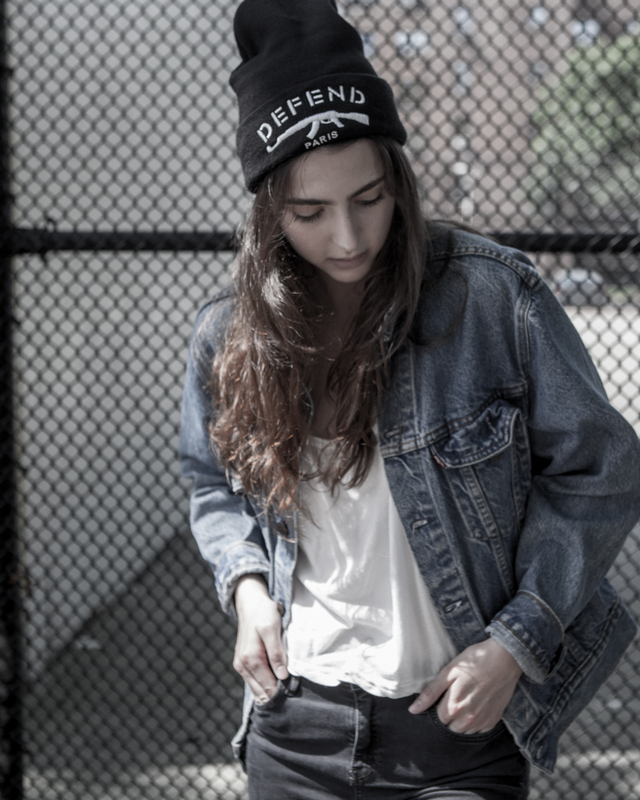 With every single item you purchase, you’re choosing to stand up for Coexist, Human Rights, Children’s Rights. A brand with so much thought behind it, no wonder they’re doing so well. We’ll keep on eye on this brand and inform you of all of their new events coming soon. and Nate Peltonen for art directing the shoot.